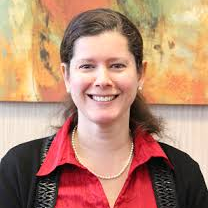 Kimby Barton is currently the Director of the Health Product and Licensing Division (HPIL) in the Health Products Compliance Directorate at Health Canada’s Regulatory Operations and Regions Branch. Kimby joined Health Canada in 2002 with the Marketed Pharmaceuticals and Medical Devices Bureau (MPMDB) of the Marketed Health Products Directorate (MHPD) as a Reviewer and then Manager. She worked as Director of the Bureau of Cardiology, Allergy, and Neurological Sciences in the Therapeutic Products Directorate (TPD) from 2009 until 2015. In 2015, Kimby jointed the Director General’s Office in TPD as the Interim Senior Executive Director of the Therapeutic Products Directorate (TPD) and also took on the role of Interim Director of the Medical Devices Bureau in 2016. Kimby left TPD to join HPIL in August of 2017. She has also held various acting assignments as Director General of MHPD, TPD and HPCD. Check out the incredible speaker line-up to see who will be joining Kimby.